Google has filed a patent for "systems and methods for monitoring and reporting road quality". The system relies upon the GPS you are using in your car in conjunction with a device with a (vertical) bump sensor. 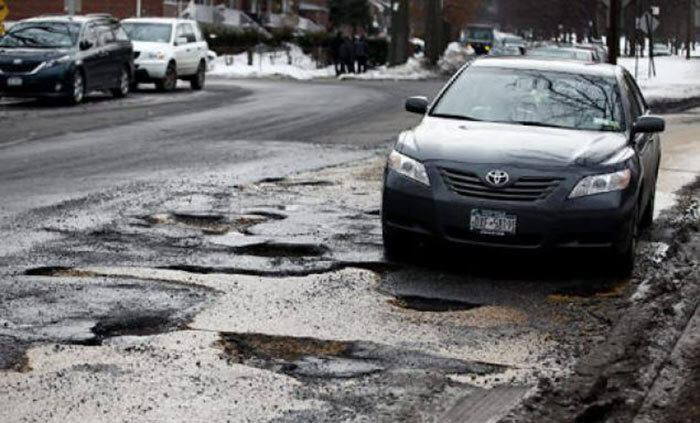 Every driver hates potholes on their daily commute. These small to moderate sized holes, in an otherwise pretty smooth road system, can cause you to spill your coffee, damage your suspension or wheel alignment or even, in the case of those on two wheels, cause an injury. Fixing potholes isn't much to ask from your council or municipal authority but, according to Time Magazine, the reporting of them is inefficient. Having to fill in forms to report such annoyances isn't probably the first thing on anyone's mind after getting home. If Google's patent gets developed to become reality the whole reporting and fixing process could become automatic. As a car drives down a road and experiences a vertical bump that data could be sent to the cloud with its associated GPS coordinates. With enough drivers using the system and a little time it probably wouldn't take long to build up a heat map of potholed roads that need attention. 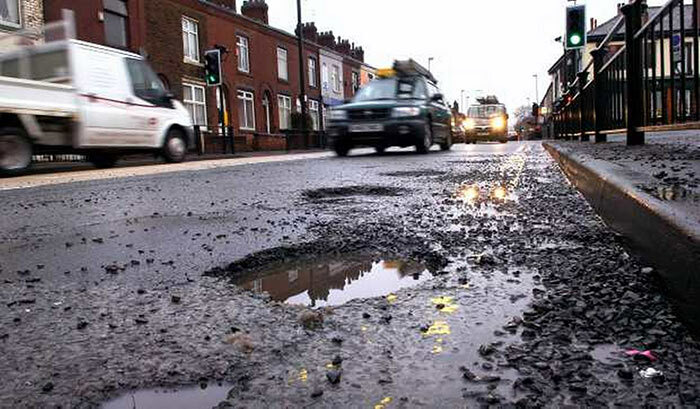 Another application of the system could be for diverting drivers from those most potholed roads until they are fixed. Since the system uses GPS, the route planner could reduce the likelihood of needing to drive down worst offending roads. Some people might take that route anyway and subsequently provide feedback suggesting the potholes are fixed. No all patents end up in finished/shipping products but with Google plans for self-driving cars it is expected this pothole tech will be used somehow. From the GPS/sensor combination it sounds like it could also warn you of, or offer to avoid, roads with speed-bumps. There will be plenty of time to report pot holes in you google self driving car, unless your to busy spilling coffee on yourself.